Google recently launched the upcoming trend of the advertising industry. This new format of Out-stream Video Ads operates on mobile devices across Google video partnered mobile sites and apps. Out-stream Video is a new innovation for advertisers in the category of display ads. It works in the form of an auto-playing video inserted into a traditional display ad space, within paragraphs or images. The Out-stream format was launched to help the advertisers engage their audiences in more places. It also helps the publishers to capture growing video budgets across their non-video content on sites and apps. Out-streaming is nothing but fading the True View, In-stream ads or Bumper ads; they don’t require placement within a YouTube video. This is the fundamental difference between Google’s in-stream and out-stream ad that gives advertisers the ability to reach the audience when a YouTube video isn’t present. To experience an Out-stream video ads campaign, advertisers need to create a new video campaign focusing on the purpose of brand awareness and reach. They need to set bids followed by the start and end date to create an out-stream video for their audience. This new ad format is very different from the existing ads, used extensively on YouTube and other video streaming channels, because it does not require a publisher’s (eg: YouTube) video for placement, it makes this ad format far more flexible. As the Out-stream video can be placed anywhere and is designed to play in the browser, it is quite capable of achieving 100% viewability, which in itself is its most significant benefit. Research suggests that audiences have actively watched Out-stream ads for 25% longer time than other video ads. This is a convincing statistic to the section of marketers who were worried that consumers would eventually skip this video like other display ads. Out-stream videos can reach out to all the potential customers on Google video partner sites. This new type of display ads does not require placement within a YouTube Video as it is usually inserted anywhere between paragraphs of text or images. Out-stream Videos play automatically as they appear on the browsing screen and unmute only when the user wants to listen to the ads. The user can also restart the Out-stream ad when he wants to watch it from the beginning while scrolling through the page. Video Marketing has the ability to keep audiences engaged with good storytelling. This makes it, marketers’ favorite form of advertising. Some publishers don’t offer placements for In-stream videos, but with the invention of Out-stream Videos, marketers don’t need an ad placement for video opportunities. With Out-stream Videos, the only thing necessary is to find the right target audience to view the ad, by understand their psyche and know what they want to browse, or what they would like to read or interact with to reach out for the relevant content. Even in a website, with no video campaign space, an Out-stream video can make space for itself to interact with the audience as a video player is not required to implement it. 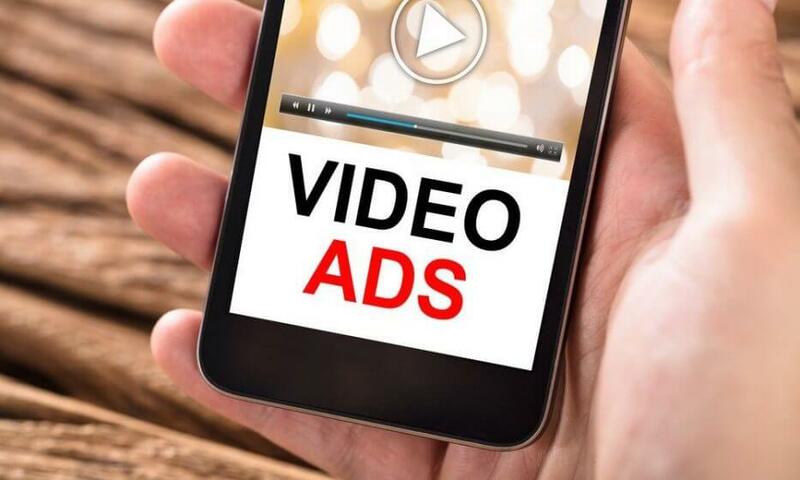 Also, Out-stream advertising offers innovative solutions for behavioral targeting to those who want to provide quick video inventory when the demand rises. Both in-feed and in-article video ads seamlessly fit in a user’s scrolling behavior on both web & apps and are muted by default to ensure that they don’t disturb the user or spoil their scrolling experience. These ads, placed in between feed and articles only play when 50% or more of the ad is visible on the screen, to ensure that it has higher and clearer visibility rates. And if the user wants to enjoy the ad he/she can unmute or replay it. Publisher helps advertisers to programmatically serve video ads across their content feeds and within their articles. Rewarded Videos for game apps are also non-intrusive with a video format that lasts only about 15 seconds wherein the users watch the video in exchange for a virtual reward. It could be in the form of virtual coins, power-ups, additional lives, etc. • Improves brand awareness- Out-stream Ads in-page placements help a brand to stay in the spotlight. • Focused on mobile users- Designed for mobile and tablet users, out-stream ads are easy to view, easy to scroll past or click through and easy to unmute in case the audience wants to watch the video. • Great Value and Versatility– Advertisers are charged for Out-stream ads based on viewable cost-per-thousand-impressions (vCPM), which means they will only be charged when someone sees their video play for two seconds or more. • Easily Manageable- Create campaigns with a target audience in mind, select the video, add a logo with content in the context of the ad, and it is ready to hit the page. Currently, Out-streaming has taken off to a very positive start. For brands, it is a great time to explore the new format and discover unique ways to leverage them. For marketers who already have a lot of written and graphical content, now is the time to start focusing on creating incredible videos. Out-stream video formats are poised to play an integral role in the future of video advertising. They offer meaningful opportunities for marketers to build an audience and create immense brand value through videos beyond YouTube. Get Ready To Post Long-Form Instagram Video Stories Soon!